Are you looking for a fun and exciting volunteer opportunity? 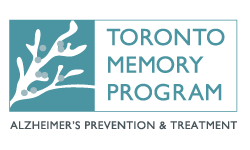 We would love you to volunteer with us at the IG Wealth Management Walk for Memories on Saturday, February 2, 2019. Whether you have been personally affected by Alzheimer’s disease or just want to give back to your community, the Walk is a great way to get involved and have fun while doing so. We have plenty of opportunities on event day and leading up to the Walk and we need your help to ensure the event is a huge success! For a full list of the opportunities, please click here. Are you under the age of 18? Please complete our paper application form and send it to kberkelmans@alz.to. 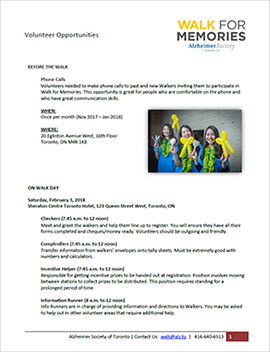 For questions regarding volunteering, please contact Katie Berkelmans at kberkelmans@alz.to or 416-847-8914.